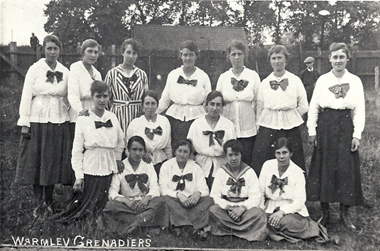 This is the story of the women who worked in a factory making grenades in Warmley (near Kingswood) during the First World War. They made 10 million hand grenades. This was dangerous and repetitive work which made a substantial contribution to the conflict. To keep their minds occupied they made up little love poems or sayings and put these in the boxes with the grenades to cheer up the boys at the front.